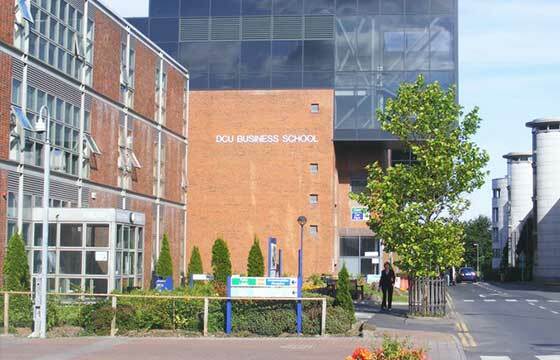 Dublin Business School (DBS) is the largest independent third level institution in Ireland and provides a comprehensive range of undergraduate, graduate, professional and executive education programmes. The School, which was originally known as Accountancy and Business College, was established in 1975 to provide evening courses for students preparing for the examinations of the professional accounting bodies. The following milestones in its development have been of immense significance in meeting this challenge. The International Department at Dublin Business School incorporating Portobello College offers a wide range of Undergraduate and Postgraduate Programmes in the areas of Business, Arts, and Law. DBS is an Accredited Institution of Liverpool John Moores University (LJMU). All Level 8 Business Degrees and a number of Level 9 Masters Degrees are jointly awarded by the Higher Education and Training Awards Council (HETAC) and LJMU. A mere two minute walk from St. Stephens Green, the Luas and all main bus routes, DBS is truly in the heart of Dublin city. Our educational sites in the prime city centre locations of Aungier Street, Balfe Street, Dame Street, South William Street and South Richmond Street (Portobello College) are all within a few minutes walking distance of each other and provide students with access to all of the infrastructure capabilities of a vibrant modern capital city. Various private student residences are available throughout the city which offer facilities and services specifically designed for students: accommodation is in self-catering fully-furnished houses/flats including a number of single and sometimes double bedrooms, a shared bathroom and living/kitchen area. Each bedroom is equipped with free Internet access.